Until recent exceptional events shook the island of Lombok, I was already on a high moment in life, i.e. the excitement of the biggest surfing swell in 20 years hitting Indonesian shores and the resighting of the mythical crocodile by local fishermen, whose legend can be traced back to the fifties. 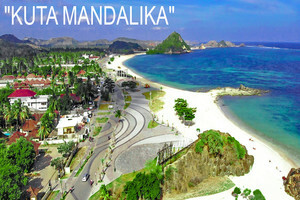 Like across Nusantara, the mother archipelago of 17,000 islands and 500 languages, Lombok is an island of legends. Its people, the Sasak, are known to master black magic, worship the gods of fire and water, widely practice healing by sorcery and herbal medicine etc... In South Lombok they even have the legendary crocodile; no surfers have ever been eaten or bitten but everybody claim to have seen it, so true it may be. Then a series of quakes hit the island, and I forgot about my crocodile. I saw extraordinary people doing less than ordinary things, and normal people doing out of the ordinary feats. From the headlines drama, the local community panic to the social media craze, we were lucky to have a few sensible people around us. Making sense of what is happening becomes very hard when you get overwhelmed by mother nature and your own tricky mind. When I opened my eyes again, I was half dreaming, I had travelled back in time: things had slowed down, beaches empty, surfing again this daily adventure into the wild, local smiles all over the place; that is "The Time Of The Crocodile", the time the first travelers and surfers to the area still treasure, the time where our mind can wander so easily and reflect the beautiful character of the place and experience its unique lifestyle. Not the best time for business I agree, but the best time for discovering authentic Lombok. Business will come back no worry, nothing much can stop development those days. 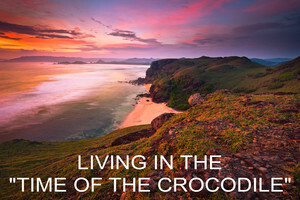 Meanwhile come spend the holidays of your life on this remote coastline and see the crocodile for yourself!! The Qatar Investment Authority, or QIA, on Wednesday (01/08) signed a memorandum of understanding with the Indonesian government to lay out a foundation for a $500 million investment in Indonesia's tourism industry. The investment will be focused on developing ongoing tourism projects in Indonesia's 10 priority destinations, also known as "10 New Balis." State-owned seaport operator PT Pelindo III kicked off on Thursday the construction of the Gili Mas Terminal at Lembar Seaport, West Lombok to facilitate the arrivals of large cruise ships that can carry up to 4,000 passengers. The terminal can also function as container terminal. By adding new flights to Lombok, Lion Air is sharing its commitment to the tourism destination with the world. 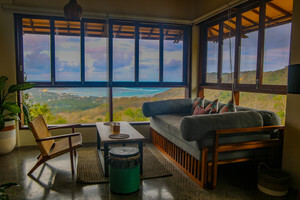 Famous landmark located in Kuta Lombok Ashtari, has opened its first accommodation, Ashtari Loft. It is a fantastic spacious 100sqm Loft overlooking Kuta bay. After an early morning Yoga, enjoy a coffee on the terrace or in your living area, both with incredible sea views, wonderful sunsets and the surrounding tropical vegetation! READ Ashtari Loft - Like Nothing On Earth! During a storm market crash the ones who remain calm and focused can see great opportunities. Just think ahead. “The main port is still working; every harbour is working; the airport is working, the roads are OK.” say official sources. Senggigi and the Gilis' northern tourist areas were closer to the epicenter but aid and rebuilding efforts are fully active and businesses have started reopening. It usually takes 3-6 months to full recovery depending on the insurance claims process and the reconstruction needs. South Lombok are very fortunate, it remains unscathed and all facilities are running normally with lower tourist arrivals though. As the New York Times puts it: People Panicked, Should They? Do not underestimate human resilience. 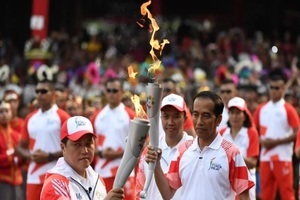 Government and project Mandalika in South Lombok have kept building roads and adding infrastructure during all that troubled time, most private projects have continued construction actively. So give it a 2 weeks break for emotionally broken souls who cannot find sleep, 2 months lag for tourists to return completely to the south of the island and 4 months for the North to rebuild houses or businesses and reopen. Meanwhile talk to us and find the latest opportunities on this beautiful island!